Made his debut with MBC Dynamo Moscow (Russia) during the 2002-03 season. Played there also the 2003-04 championship, also playing with Dynamo Moscow region. Signed for the 2004-05 season by Lokomotiv Rostov. Signed for the 2005-06 season by Ural Great Perm. Signed for the 2006-07 season by Unics Kazan, also played with Unics 2nd team. Signed for the 2007-08 season by Spartak Vladivostok. Signed for the 2011-12 season by BC Nizhny Novgorod. 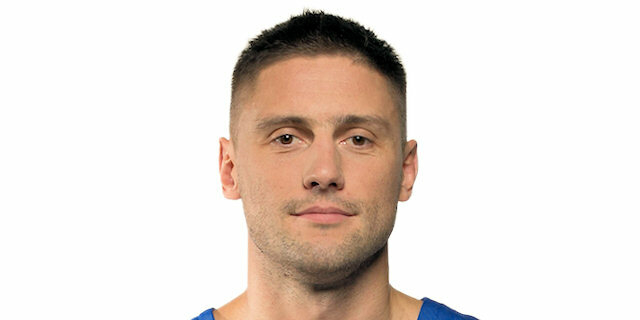 Signed for the 2017-18 season by BC Nizhny Novgorod. Signed for the 2018-19 season by Zenit St. Petersburg. Won the 2006 FIBA Euro Cup Challenge with Ural Great Perm.